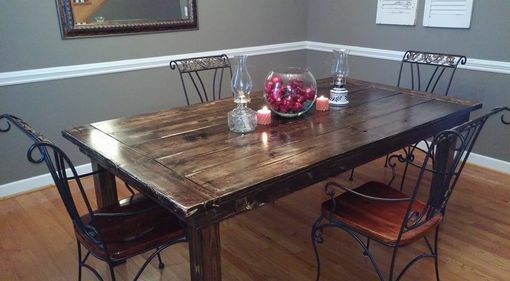 This is our Colonial Style Table. It was built with reclaimed wood and heart pine. The table has an Espresso finish, seats 8 comfortably and measures 85" x46". We have a variety of color\stain options available for you to choose from. All of our tables can be designed with your specific measurements to fit any space in your home. Matching benches are always available upon request. At Geoff's we take great pride in every table we build. 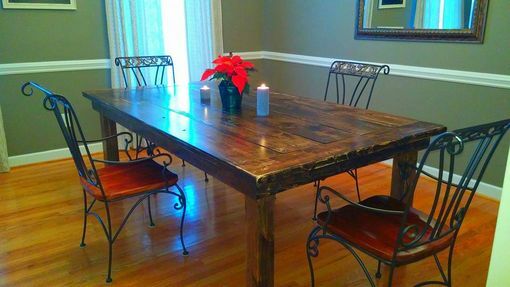 When we build you and your family, we build…"Tables for a Lifetime." 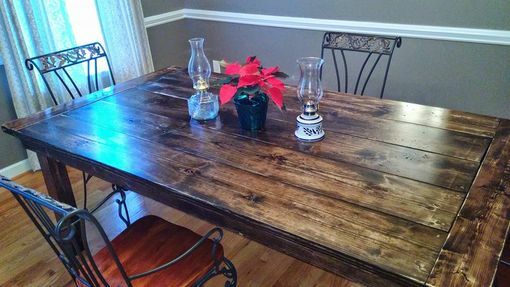 Need help deciding on that perfect farmhouse table for your home? Send us a message; we would love to hear from you!